“MILK!! 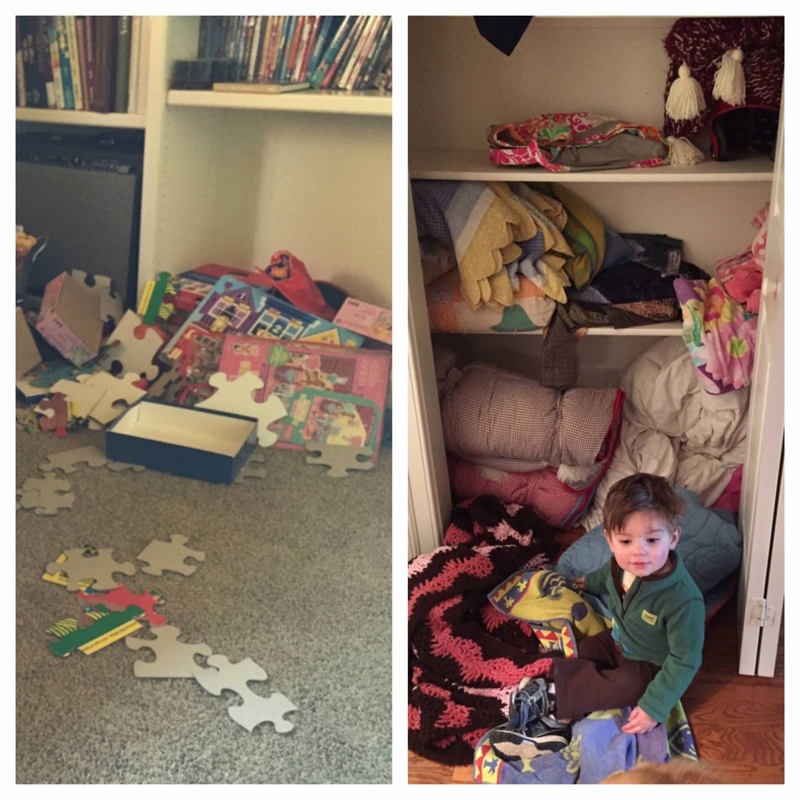 !” Sawyer, my youngest who is 19 months old, is learning to talk. He has a few favorite words: mama, no, Good Girl (his name for our dog Lexi), and milk. He yells “Milk!” approximately 88 times per day, and that is where my story begins. I have a cabinet full of sippy cups…they have multiplied, divided, and taken over our kitchen and, by extension, the rest of our house, my car, and the entire planet. And this kid, this kid, yelled “milk!” about 3 minutes after I had given him a full sippy cup of milk. Not okay. So, off I went in search of the prodigal sippy cup when, lo and behold, I found it… in my wine fridge. We usually try to keep the kids out of the wine fridge because, well, that’s mommy and daddy territory. But Sawyer really likes opening and closing it. It’s at eye level for him, and it has a light switch that he enjoys flipping…so, if I had a dollar for every time I asked my kids to keep out of the wine fridge, well, let’s just say Disney could come a bit sooner for our family. 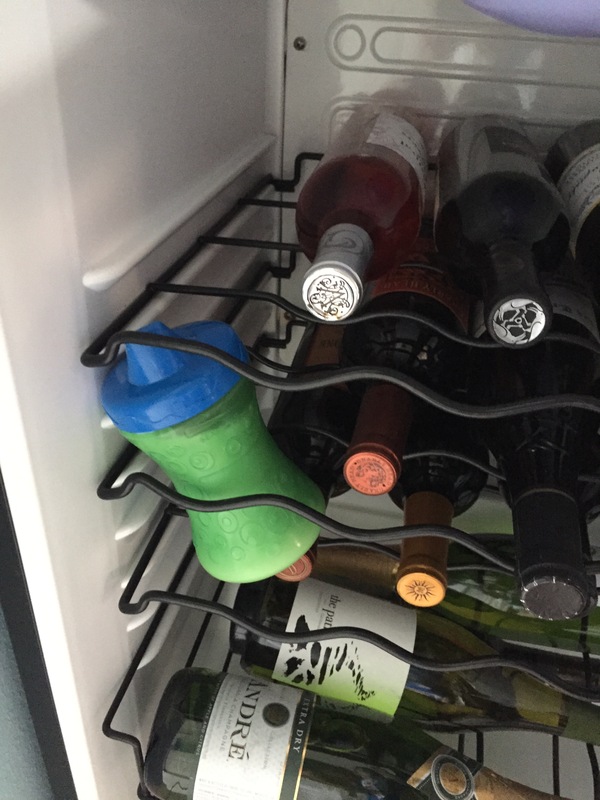 But then, I realized that this “sippy cup in the wine fridge” is a perfect metaphor for parenthood. My life is no longer my own. I once had a career, cute clothes, a heaven-sent housekeeper who came every other week, a clean car, no bags under my eyes, and sleep…precious, precious sleep. I thought I had it all. And now? I have sippy cups in my wine fridge, a symbol of something that was once so cool about me…and these guys. Yes, they are absolutely amazing. They are smart, funny, good-looking, creative, sweet kids. And they are so worth every ounce of love and attention I can give them. And…They. Are. Wild. Every part of my life has been taken over by kids. My Car: Oh my, how I love my car. It’s a GMC Acadia, and it is so great. It’s an SUV with soul of a minivan (i.e., the kids have bucket seats in the back and cannot, therefore, elbow each other while we are riding). Jeff calls it a rolling trash can, which isn’t exactly an exaggeration. My lovely car is a combination of Cheerios, Goldfish, dog hair, socks, shoes, coats, fast food wrappers, cups, sippy cups full of curdled milk, and one stray pair of Tate’s underwear (don’t ask). If it were up to me, we’d be listening to audio books, gangsta rap, and driving to cool downtown venues for brunch. Um, we don’t do any of that. 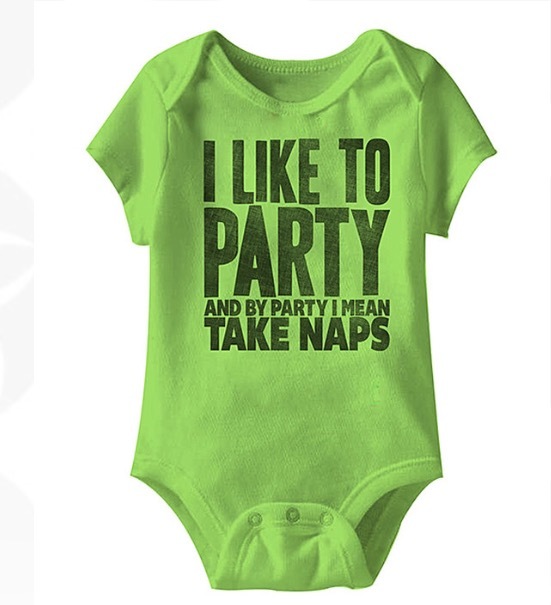 Does this come in an adult size? My Sleep: I remember the days…sleeping in. A lazy Saturday where I could wake up at 9 or 10, grab a coffee and watch football in my jammies. And naps? I remember those, too. Such a distant, distant memory. And then came babies…just when one would sleep through the night, then the next one came. Three in the morning feedings, teething pains in the middle of the night, waking up when someone has a nightmare and praying for all my might that the other kids wouldn’t wake up, too. Now, everyone is sleeping through the night, Sawyer is teething (poor guy), and I may never sleep again. The middle of the night has been replaced by 7am on weekend mornings. Seven in the morning, and I open my eyes to see children staring at me while I’m sleeping and then the omnipresent, “Mama…what’s for breakfast? Can I have some milk? Can I watch cartoons?” Yep…I will never sleep again. My Social Life: Jeff and I used to be people about town. We were fun. We went to restaurants and bars and made friends wherever we went. We danced and played pool or darts. We went to our friends’ houses and played Cranium and our new favorite Cards Against Humanity (not…for the politically correct or faint at heart, mind you). Now, we can’t even go out to eat. Why? Because at any moment, one child, two, maybe even all three will blow up and make us feel like any attempt at spending money on a nice evening out was not at all worth the frustration of one of us going to the car with the offending child while the other stays in the restaurant with the other kids, hurriedly finishes dinner, or packs it all to go and eat at home anyway. Not worth it. So, what is worth it? Parenting is an all-in proposition if you do it right. It’s a 24-hour-per-day, no salary, very little vacation time job. But the benefits? They’re pretty awesome. I sometimes wonder about my life before we had kids. What did I do with all that free time? Did I watch continuous TV? Did I ever do two loads of laundry in a day, even? The dishwasher took days to fill up, and cleaning wasn’t so bad because it was just my mess, which wasn’t much. I’m really not sure…I can’t remember that far back, probably from lack of sleep since 2007. BUT… I do get a front-row seat to three amazing little lives…I get to teach them how we roll in our family, and I get to celebrate their victories and kiss them when they fall down. I get to read to them, and tuck them in, and teach them how to cook or throw a ball. 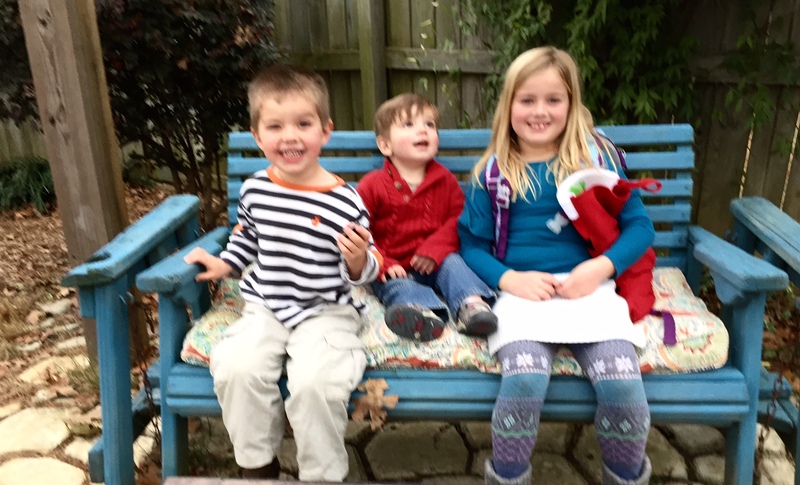 I get to see the wonder and excitement on their little faces on Christmas morning, just a few days away. 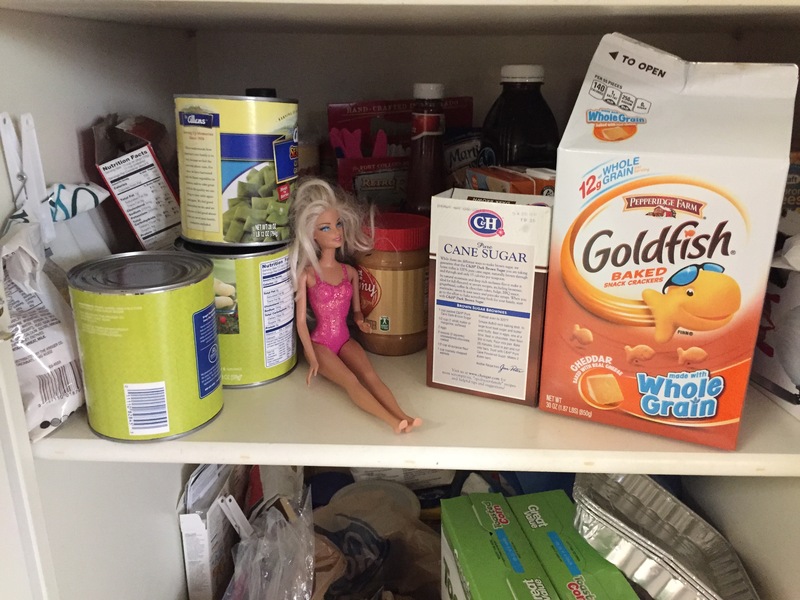 So, yes, I have sippy cups in my wine fridge and Barbie dolls in the pantry and Hot Wheels cars in my boots when I try to put them on in the morning. My house is a wreck, and my car requires a hazmat suit after road trips. But I wouldn’t trade it. Not for all the cleanliness and order in the world.